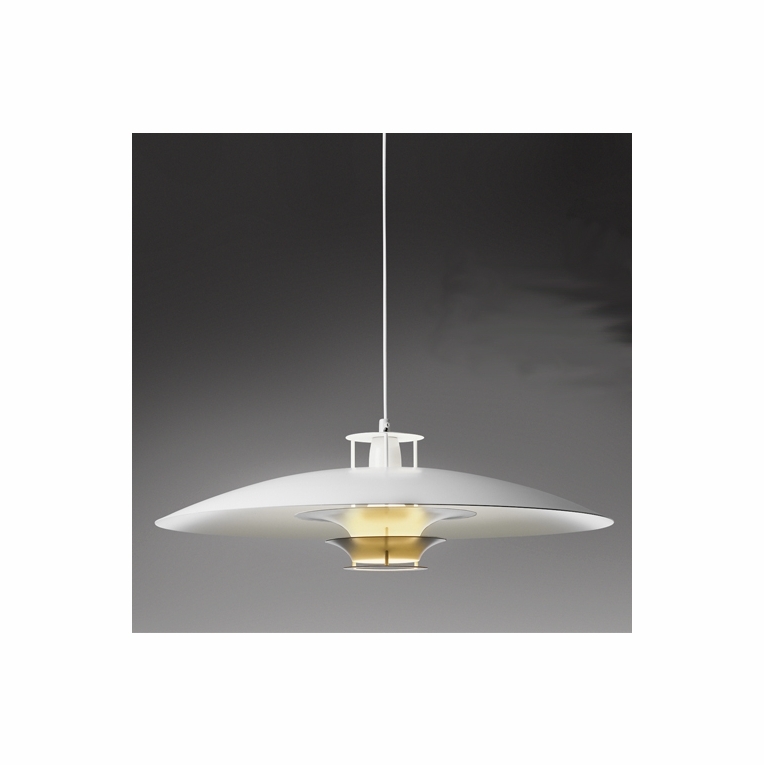 Finding beauty in simplicity, designer Juha Leiviskä utilizes lightweight white aluminum to create this contemporary ceiling lamp. Originally designed in 1969, this forward-thinking light hangs effortlessly from a single white cable while its thin, disk-like shade softly illuminates with a bright glow. Offered in painted matte white aluminum(as shown), contact us if your room is higher than 8 feet. Ships assembled.Please review our Shipping Information page before ordering. Payment: 50% will be charged at time of order, remainder will be charged at time of shipment.